The Terrible Seventies don’t have to be terrible! Try these six great tips. Photo illustration by Slate. Photos by Thinkstock, Getty Images. Providing the right kind of praise is a key element in successfully parenting your toddler president. Trying to govern can be extremely frustrating for toddler presidents. On the one hand, they are desperate to be independent and accepted as big kids but at the same time, most toddler presidents are easily frustrated when things don’t turn out to be fully within their control. Toddler presidents want to be respected as fully grown-up persons but generally tend to have trouble dealing with limits and setbacks. This can lead to tantrums and misbehavior. If nuclear codes are involved, it may also lead to fiery apocalyptic end times. Don’t despair. You are not going to be the perfect parent. You might have to settle for being a good enough toddler president parent. Still, with some tricks, tips, and the advice of experts, you can teach your toddler president and encourage good behavior by providing love and setting a standard for behavioral norms. Show love. Toddler presidents need constant media love. They can become unhinged and lash out at media criticism as “unfair.” While it’s important to teach your toddler president that the media check governmental abuses of power and are also protected by the First Amendment, he has not yet reached a developmental stage at which he can fully grasp that concept. Be patient with that. For now, you must simply fill his social media feeds and daily press clippings with only positive media mentions to show him the love he so desperately needs. 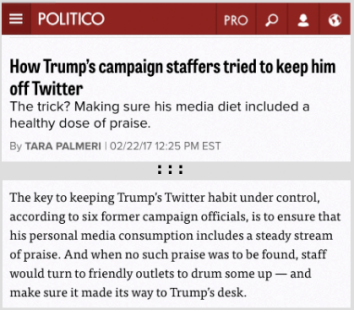 A few winning strategies to that end include using the parental controls on your cable box to block networks that do not constantly praise him and inventing, or planting, news stories about his greatness on the channels he does watch. Make a fun game out of it! Mitigate tantrums. While it’s perfectly normal for a toddler president to have temper tantrums, you will find them to be exhausting, demoralizing, and counterproductive. To reduce the frequency, duration, and intensity of your toddler president’s tantrums, it’s important to remind yourself that you, and not the president, are the adult, and that you should model proper problem-solving skills at all times. They may not stick the first time—or the 12th time. But by his third year in office, he may understand that shouting and belittling others is not the big-kid solution to challenges. Additionally, don’t give your toddler president multilateral treaties that are too advanced for him. Avoid long meetings in which your toddler president has to sit still or can’t play—maybe bring along an activity! Just because the grown-ups are talking about national security matters doesn’t mean the toddler president can’t stay happy tweeting on his mobile device. Meetings of 30 minutes or longer are a perfectly appropriate reason to relax screen-time limits. Explain how to follow the rules. Instead of saying, “Stop hanging up on world leaders,” you might offer suggestions for how to make international relations go more smoothly: “Make sure you have an adult diplomat in the room, and follow his lead.” Offer him a steak dinner and extra screen time if he can make it through a press briefing without mentioning the Electoral College. Recall that toddler presidents still have a complicated and fraught relationship with the female breast, and honor the complexity of those feelings. Take no in stride. Don’t overreact when your toddler president says no. Instead, calmly repeat your request. You might also try to make a game out of good behavior: Your toddler president will be more likely to do what you want if you try to make an activity fun. So, let’s say you want the toddler president to strongly condemn hate crimes. What if every time he strongly condemns a hate crime, he gets a jellybean? And if he actually mentions the name of the targeted group, he gets two! He will begin to learn that strongly condemning hate crimes is the right thing to do, and you will have a much nicer country. Pick your battles. If you say no to everything, your toddler president is likely to get frustrated. Look for times when it’s OK to say yes. Sometimes the toddler president will want to dig in for a big battle—for example, about whether he’s allowed to watch Morning Joe. That’s OK! It’s not the worst thing to let him watch Morning Joe on days when there is nothing important going on, and you shouldn’t feel guilty about it. He will feel loved and accepted, and you will feel relieved to have a little time to shower and use the potty. Stick to the schedule. Keep a daily routine so that your toddler president will know exactly what to expect when. Understand that if he knows when it’s Golf Time, Screen Time, Emoluments Time, and Sign Whatever Papers Uncle Steve Hands Me Time, every day will go more smoothly. Despite your best efforts, at some point your toddler president will break the rules. Ignore minor displays of anger such as social media outbursts or threats to destabilize the entire Middle East. And try to frame your corrections in the most positive terms: Nobody likes to be called naughty. Instead of saying, “Are you crazy, you’re undermining the independent judiciary!” try, “I bet you wouldn’t like it if a federal judge called you a so-called president.” Instead of saying “Women are people too,” try to surround him with models in ball gowns. Never resort to punishments that emotionally or physically harm your toddler president. Spanking, slapping, and screaming at a toddler president are never appropriate. 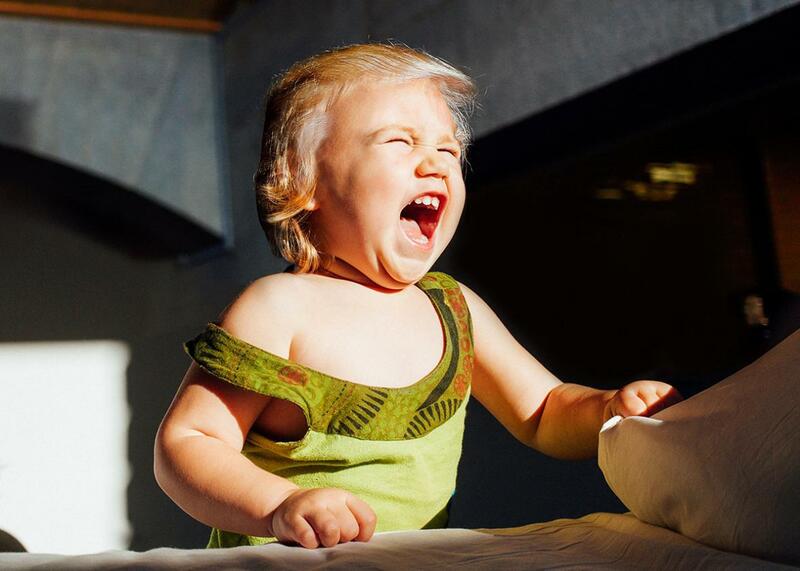 You may find yourself reciting the mantra that parents of toddlers have muttered since time immemorial: “The days are long, but the years are short.” Four years from now—or less!—your toddler president will be a toddler ex-president.